COC Meeting - April 23rd- 9:00 a.m.
CRP Primary Nesting Season March 15th- July 15th. 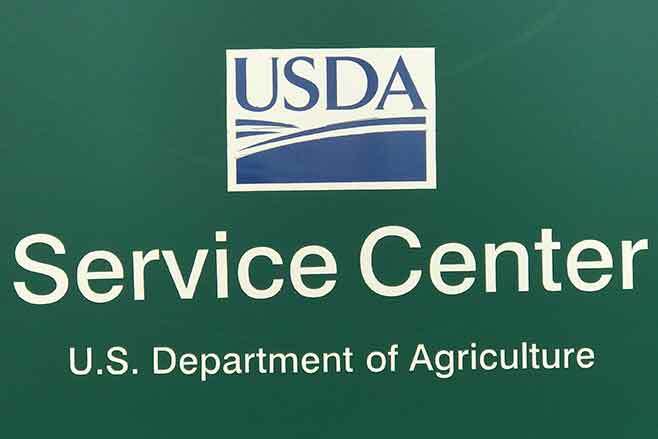 All 2019 NAP applications filed with service fees paid through April 7, 2019, will not require payment of additional fees if no crops are added to the application. Initially, producers who purchased NAP coverage for crop after December 20 were informed they would pay the new rate of $325.00 per crop. The FSA offices were instructed to collect the previous amount of $250 per crop and producers would be billed for the $75.00 balance. Producers who paid the $250.00 before April 7 will not incur any additional fees for 2019 crop year. The new service fees will be effective after April 7 and for crop years 2019 through 2023. Due to the expiration of the Farm Bill; FSA was not authorized to offer buy-up coverage for 2019 crops. The 2018 Farm Bill did authorize the buy-up option; however, there were several NAP coverage deadlines before the December 20 Farm Bill date. Producers can obtain buy-up coverage (or increase coverage level election to buy-up) for the 2019 crop year retroactively by submitting a CCC-471 with buy-up coverage elected through the later of the crop's application closing date or May 24, 2019. For producers in Kiowa County that have purchased a 2019 NAP policy on annual crops; the office will be notifying you of the May 24 deadline to obtain buy-up coverage. First obtained status as a veteran during the most recent 10-year period. The 2018 Farm Bill amendments provide that a farm on which all cropland was planted to grass or pasture, including cropland that was idle or fallow, from January 1, 2009 through December 31, 2017 will have all base acres and payment yields maintained, but with no payment made for those base acres during the year 2019 through 2023. The regulations and policies concerning this amendment are in the process of being drafted. The office will provide information as it is received. The date for 2019 ARCPLC producer elections and enrollment for base acre farms has not been released. All producers on a farm with an interest in the farm's base acres will have the opportunity for elect PLC, ARC-CO or ARC-IC programs. The election made for 2019 will also be effective for 2020. Producers will have the opportunity to reelect thereafter in each year 2021 through 2023. Elections of PLC or ARC-CO are made on a covered commodity by covered commodity basis, (ex. Farm with wheat and grain sorghum base, producers can elect PLC on wheat and ARC-CO on grain sorghum or vice versa). Election of ARC-IC is a farm election not a covered commodity election. Failure to make or agree to a unanimous election in 2019 for a covered commodity results in a default program designation of the current election for the farm for 2018 and prohibits any 2019 and 2020 payments for the covered commodity. These producers have an option to change the election starting with the 2021 crop year.